cell layers of the retina with an arrow designating a horizontal cell. neuron in the retina that interacts with photoreceptor and bipolar cells. 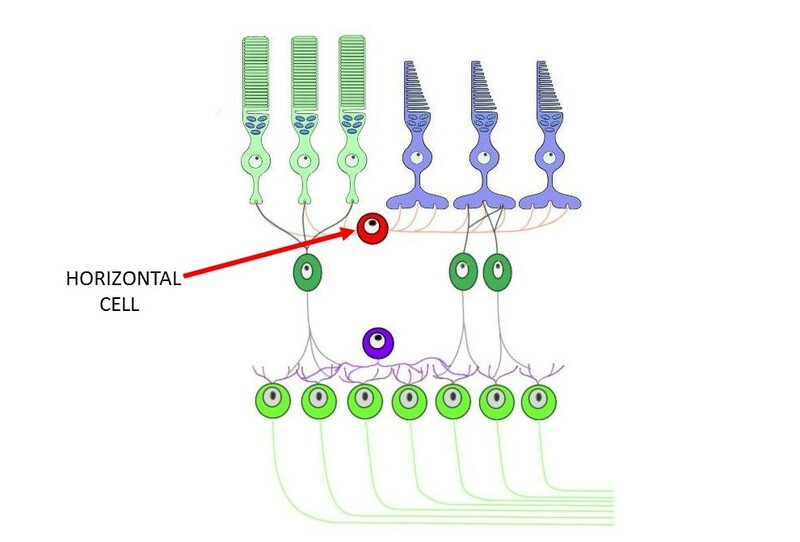 Horizontal cells receive input from multiple photoreceptor cells. They use that input to integrate signaling from different populations of photoreceptor cells, make adjustments to the signals that will be sent to bipolar cells, and regulate activity in photoreceptor cells themselves.